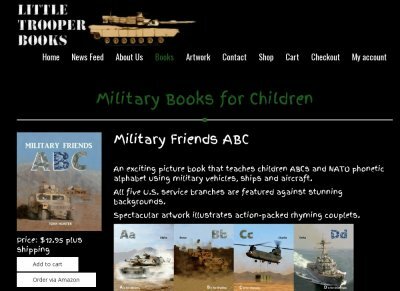 An exciting picture book that teaches children ABCs and NATO phonetic alphabet using military vehicles, ships and aircraft. All five U.S. service branches are featured against stunning backgrounds. 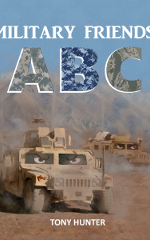 Spectacular artwork illustrates action-packed rhyming couplets. The stats below show how many people clicked LIKE for this book. The VIEWS track how many Bookmaester readers clicked through to Amazon and viewed this book's detail page on Amazon.